Nexia (1995-1997) - 1.5 - Hatchback - Petrol - 75bhp. Nexia (1995-1997) - 1.5 - Saloon - Petrol - 75bhp. Espero (1995-1997) - 2.0 - Saloon - Petrol - 105bhp. Espero (1995-1997) - 1.5 - Saloon - Petrol - 90bhp. 204961 - MANGUETA DELANTERA DERECHA DAEWOO KALOS 1.4 Sport | 10.03 - 12.04. Möchten Sie, dass wir Ihnen versichern, dass dieses Teil Ihrem Fahrzeug entspricht?. Wir können es überprüfen! Vuoi che ti assicuriamo che questo pezzo corrisponde al tuo veicolo?. 0092 3A28 MANGUETA DELANTERA IZQUIERDA DAEWOO KALOS 1.4 Sport | 10.03 - 12. 0092 | 3A28. 204959 - MANGUETA DELANTERA IZQUIERDA DAEWOO KALOS 1.4 Sport | 10.03 - 12.04. Vuoi che ti assicuriamo che questo pezzo corrisponde al tuo veicolo?. Voulez-vous que nous vous assurions que cette pièce correspond à votre véhicule?. 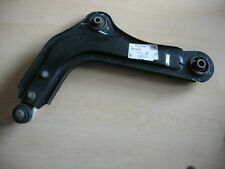 2 X CHEVROLET AVEO KALOS DAEWOO WISHBONE ARMS 2005 ONWARDS. DaewooKalos - 1.2 - (2002-2005) - Hatchback - Petrol - 71bhp2003 -> 2005. DaewooKalos - 1.4 - (2002-2005) - Hatchback - Petrol - 83bhp2002 -> 2005. PART 96268440. GENUINE GM NUBIRA RIGHT HAND LOWER FRONT WISH BONE. SUITS NUBIRA SE, SX, CDX 1997- 1999. AND WE WILL HAPPILY CHECK FOR YOU. Tipo de articulo: Trapecio inferior Delantero Derecho. Model: NUBIRA. En algunos casos, podemos organizar la recogida por nuestra parte del artículo. De forma consecuente con lo establecido en la Condición 3.2. Please read full listing description carefuly before you order to make sure the part does fit your car. - DAEWOO MATIZ 0.8 1.0 FRONT 2 WISHBONE SUSPENSION ARMS & 2 OUTER TRACK ROD ENDS. These are the areas we do NOT cover WILL FIT EITHER SIDE, NOT HANDED. We are here to help. This is to saveus andyou any inconvenience. Order placed before 3.00pm. These are the areas we do NOT cover We are here to help. WILL FIT EITHER SIDE, NOT HANDED. This is to saveus andyou any inconvenience. Order placed before 3.00pm. Daewoo Kalos KLAS 1.2. Daewoo Kalos KLAS 1.4. Daewoo Kalos KLAS 1.4 16V. Chevrolet Kalos 1.2. Chevrolet Kalos 1.4. Chevrolet Kalos 1.4 16V. Car : CHEVROLET & DAEWOO. Chevrolet Aveo 1.3 D.
Please read full listing description carefuly before you order to make sure the part does fit your car. 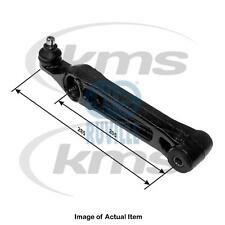 - DAEWOO MATIZ 1998-2004 FRONT TRACK CONTROL WISHBONE ARM BUSH BALL JOINT NEW. NOTE : THE COMPATIBILITY IS FOR REFERENCE ONLY. You are obliged to take reasonable care of the item. HERTH BUSS JAKOPARTS - J4210925 / J4210925. HERTH BUSS JAKOPARTS Gummilager / Querlenkerlager / Querlenker Buchse J4210925. Verwendung: Lenker. Qualität rechnet sich! Qualität ist ohne Alternative. CHEVROLET - 96388641 / 96388641. SUCH AS COLOUR FADE OR SMALL SCRATCHES. With a great range of car care and accessories to see you through all seasons. We have a vast knowledge of car spares at Wilco Direct. such as oil and coolant, antifreeze, roof boxes, roof bars, trailers and much more. 1 X Längslenker für die Hinterachse. Daewoo Chevrolet Matiz alle. Komplett mit Buchsen. 2 x Powerflex PFF80-301 Front Wishbone Inner Bush (front). PU Lager / PU Buchsen / Polyurethan. DAEWOO;ESPERO (KLEJ);1.5 16V;10.1993-09.1994;65;88;1498. DAEWOO;ESPERO (KLEJ);1.5 16V;02.1995-06.1999;66;90;1498. MPN - SS4043. WISHBONE LOWER LEFT. CHEVROLET AVEO / KALOS Hatchback (T200) 1.4. CHEVROLET AVEO / KALOS Hatchback (T200) 1.4 16V. CHEVROLET AVEO / KALOS Hatchback (T250 T255) 1.2. CHEVROLET AVEO / KALOS Hatchback (T250 T255) 1.2 LPG. TWO BUSHES PER ARM. FOUR BUSHES IN TOTAL. Chevrolet Matiz I, II (KLYA) - [04.1998-04.2005]. Chevrolet Matiz III - [03.2005-02.2010]. Daewoo Matiz I, II (KLYA) - [04.1998-04.2005]. Daewoo Matiz III - [03.2005-02.2010]. Alle TypenStandardfahrwerk. Please read full listing description carefuly before you order to make sure the part does fit your car. 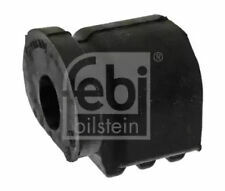 - DAEWOO NUBIRA 1997-1999 FRONT RH SUSPENSION WISHBONE ARM BALL JOINT BUSHES NEW. These are the areas we do NOT cover We are here to help. This is to saveus andyou any inconvenience. Model Year. Order placed before 3.00pm. 1 X Querlenker mit Traggelenk für die Vorderachse. Daewoo Matiz alle, ab Bj. Chevrolet Matiz alle, ab Bj. Einbauseite: Fahrerseite. Chevrolet Nubira II - [06.1999-06.2003]. Daewoo Nubira II - [06.1999-06.2003]. Produktgruppe Lenkung. Einbauposition Unten. Einbauposition Links. Einbauposition Vorne. EAN 4251530816043. Mit Lager und Traggelenk. 2 Querlenker. Lenkerart: Querlenker. Lenker, rechts Lenker, links CHEVROLET LACETTI (J200) 1.4 16V 03.05 - 70 95 1399 8260-036. CHEVROLET LACETTI (J200) 1.4 16V 03.05 - 70 95 1399 8260-AAR. (GENERAL MOTORS 96626232;OPEL 4806299, Febest CHAB-C100F. DAEWOO WINSTORM 2007. Confirmar que esta pieza es la adecuada para tu vehículo. 1) 2 years Manufacturer's limited Warranty. We want you to love our products as much as we do. 2 Koppelstangen. Koppelstangen: Einbauort: rechts und links. mit Lager und Traggelenk. 2 Querlenker. Einbauseite: Vorderachse rechts und links, Konusmaß [mm]: 18,2, Lenkerart: Querlenker Einbauseite: unten. Technische InformationenKoppelstange links / rechts CHEVROLET LACETTI (J200) 1.4 16V 03.05 70 95 1399 8260-036. CHEVROLET LACETTI (J200) 1.4 16V 03.05 70 95 1399 8260-AAR. CHEVROLET LACETTI (J200) 1.4 16V 03.05 70 95 1399 8260-AAT. Daewoo Nubira Mk1 (1997->2002) 1.6i A16DMS Petrol/LPG, 16 Valves, 104 BHP. Daewoo Nubira Mk1 (1997->2002) 1.6i A16DMS Petrol, 16 Valves, 105 BHP. Daewoo Nubira Mk1 (1997->2002) 2.0i 20DMS,X20SED Petrol/LPG, 16 Valves, 131 BHP. Chevrolet Kalos 1.2 (2005-2008) 03/05-. Chevrolet Kalos 1.4 (2005-2008) 03/05-. Daewoo Kalos 1.2 (2002-2005) 09/02-. Daewoo Kalos 1.4 (2002-2005) 09/02-. 1 X NEW LOWER WISHBONE SUSPENSIO ARM COMPLETE WITH BALL JOINT BUSHES. DAEWOO TACUMA (U100) 1.6 MPV Petrol 09/2000 on FWD 16 105 77. DAEWOO TACUMA (U100) 1.8 MPV Petrol 09/2000 on FWD 8 101 74. DAEWOO TACUMA (U100) 1.8 MPV Petrol 09/2000 on FWD 8 98 72. DAEWOO TACUMA (U100) 1.8 MPV Petrol 09/2000 on FWD 8 91 67. THIS IS A QUALITY FIRSTLINE PART AND A NOT CHEAP IMPORT. DAEWOO NUBIRA 1.6 16V,2.0 16V SALOON,ESTATE 10/1997 to 7/1999. FITS LH SIDE. THE COMPATIBILITY IS NOT ALWAYS 100% CORRECT. MOST OF OUR PARTS ARE MADE TO ISO / TUV APPROVED STANDARDS. JTC2195 - JTC1228 - JTC198 - JTC1229 - JTC1230. 44KW (60hp). 09/1985 - 08/1991. 09/1987 - 08/1990. 40KW (55hp). 09/1984 - 07/1986. 85KW (115hp). 09/1987 - 08/1991.